With cyclocross season a month away, some ’crossers might be looking to upgrade their ride for the upcoming season. Our #crossiscoming series continues with a look at the re-designed, race-specific Trek Boone RSL carbon cyclocross frameset and bike. The Trek Boone was “born” on January 1, 2014, when Katie Compton and Sven Nys rode the new bike at the year-opening GP Sven Nys. 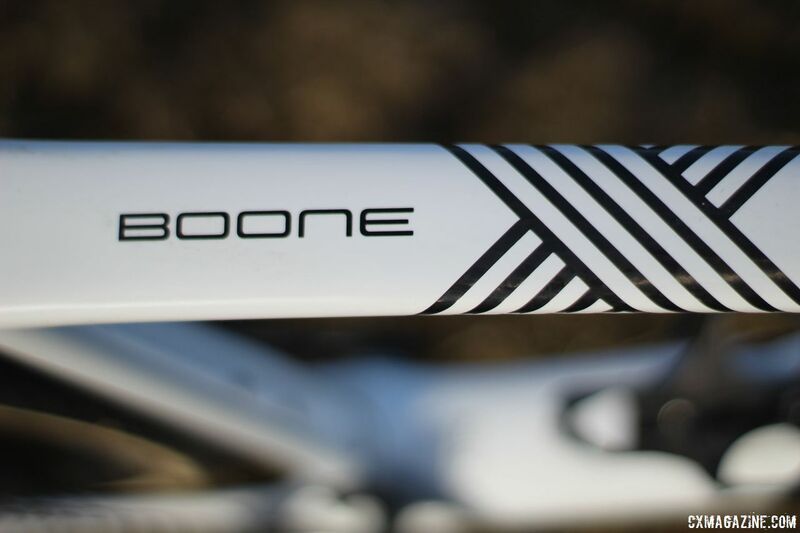 The development of the Boone was emblematic of Trek’s commitment to cyclocross, and it continues to be the company’s flagship cyclocross bike four years later. The original Boone model was developed with input from Katie Compton, and with her 14 straight national championships, looking at the latest Boone model at Nationals has been an annual Cyclocross Magazine tradition. We looked at Compton’s new Boone model at Hartford Nationals in 2017, where she used the bike and its front IsoSpeed decoupler to navigate the frozen ruts at Riverside Park. Trek’s continuing involvement with cyclocross has also included sponsoring the Telenet Fidea team managed by Nys. 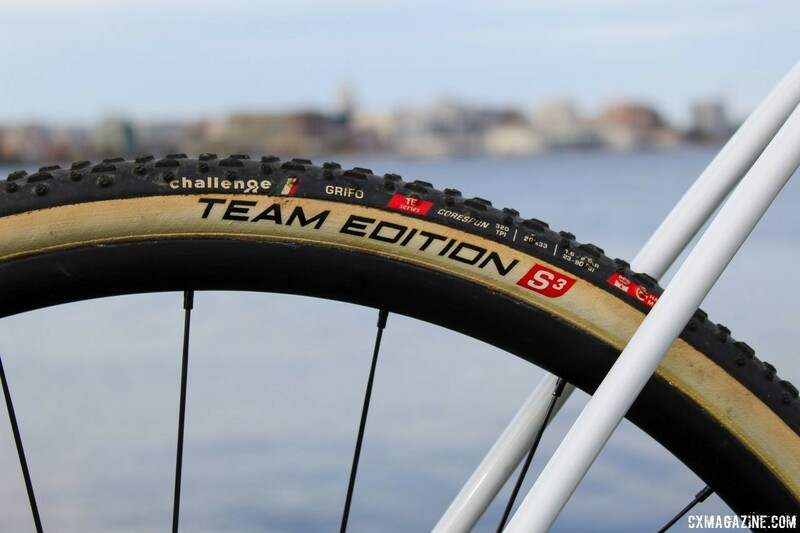 This past year, the team rode aptly colored bright yellow Boones with Bontrager wheels. 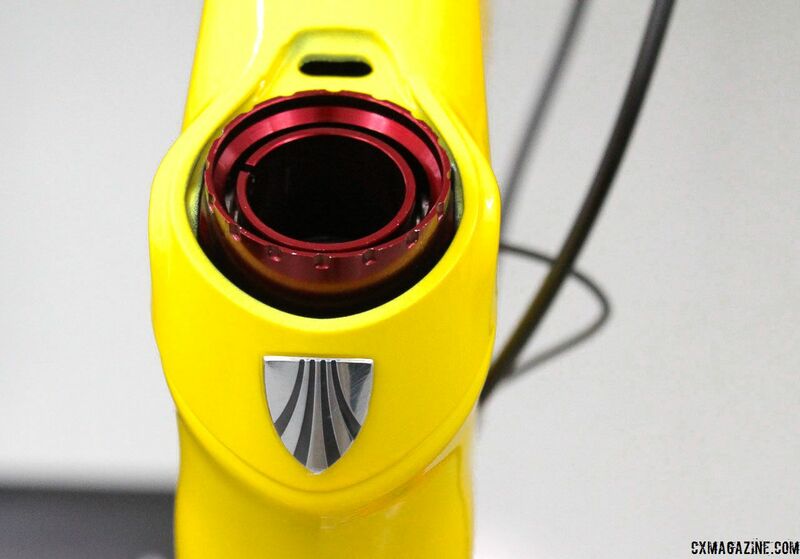 We took a sneak peek at the new yellow Boones last summer while at Trek Headquarters doing a preview of World Cup Waterloo. The new Boone ridden by Compton, the Lions, Evie Richards, Justin Lindine and other Trek athletes features several changes from the previous year’s model. Most obvious—and of most interest, based on my experience—is the addition of the front IsoSpeed decoupler. Trek also added flat mount disc brake mounts, front and rear 12mm thru-axles and made the frame sleeker and lighter. Trek offers the new Boone as both a Race Shop Limited frameset and in two complete builds. 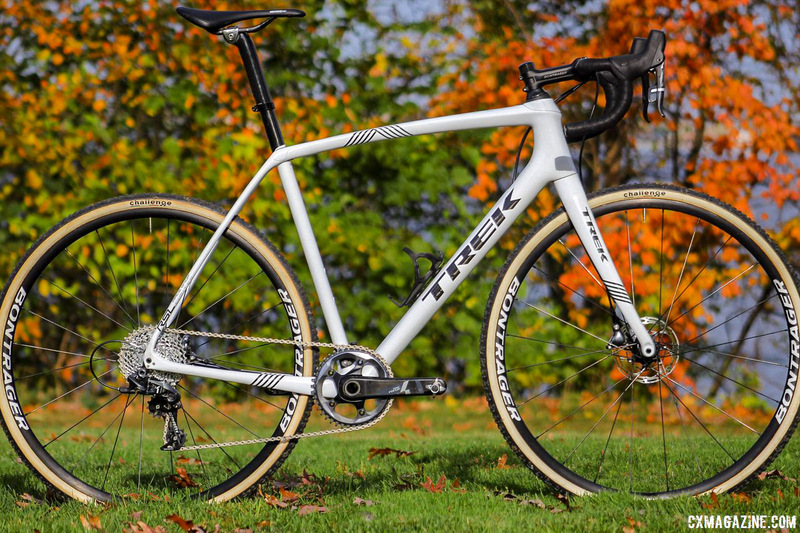 Trek provided Cyclocross Magazine with a test bike built around the Race Shop Limited frame similar to the one ridden by the Telenet Fidea team, Compton and the other professionals. The build includes SRAM Force 1 components, a set of Bontrager alloy tubulars and a white paint scheme that is a bit more muted than the yellow Telenet frames. I have ridden the Boone RSL on cyclocross courses, in the snow when conditions allowed and put the front IsoSpeed decoupler to work on some Midwest singletrack. 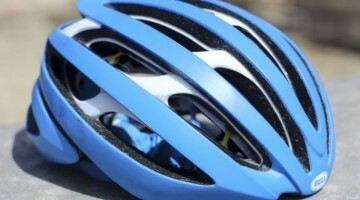 Read on for impressions of the ride and review of the newest Trek Boone. Although the name “Boone” might conjure up thoughts of backwoods adventures, Trek built the Boone RSL for cyclocross race performance. This approach is not unique to Trek, with other companies such as Specialized and Cannondale following the race-specific trend. Unlike other companies, Trek added front and rear compliance to their bike to help smooth out efforts on bumpy courses. The all-carbon Boone frame uses Trek’s 600 series OCLV carbon, which is the company’s second-lightest carbon design—only the ultra-light Émonda uses the 700 series carbon. The fork is all-carbon and features a 12mm thru-axle and flat mount disc brakes. 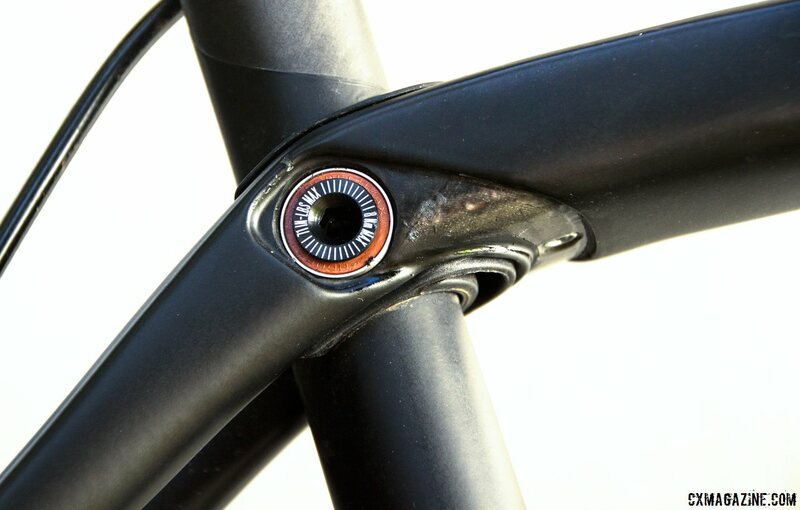 Trek’s “Control Freak” system internally routes the cables through the frame, and Trek opts for external routing on the fork for the front brake cable. Trek gave the 2018 frame a makeover to make it sleeker and lighter. Trek claims a 56cm frameset weights 4.05 pounds (1.84kg), which includes the 50g seat mast that is part of the rear IsoSpeed system. For reference, the 2017 Boone disc frameset has a claimed weight of 4.28 pounds. Figuring 200g for the average seat post, you’re looking at about 1,600g for a frame and fork if comparing to other options. That’s not record-setting by any means, but considering it includes the bearings and pivots of the IsoSpeed up front and out back, it’s quite light. Sleeker is, of course, in the eye of the beholder. In my opinion, the new frame design does have nice lines and the sleeker appearance Trek sought to design. 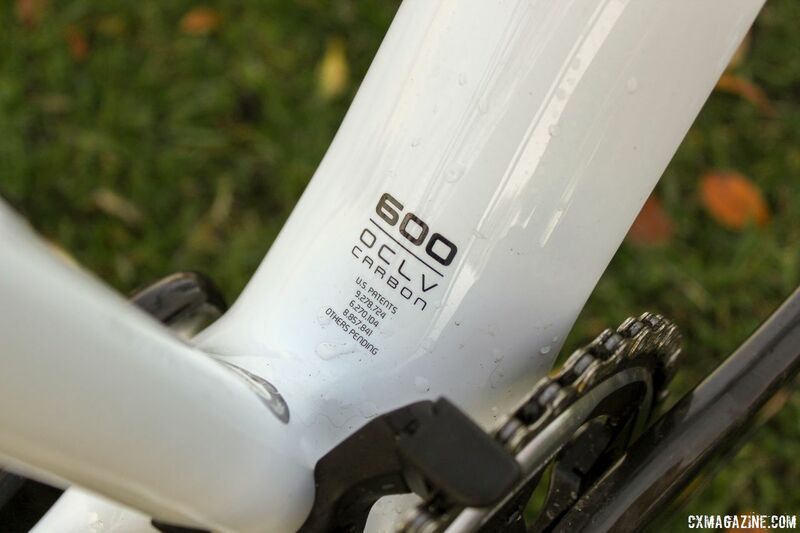 Another race-specific aspect of the design is the narrow chainstays. Trek claims they have room for 38mm tires, although I measured the gap around the tires at 48mm, which means 38mm tires would be a bit of a tight squeeze. 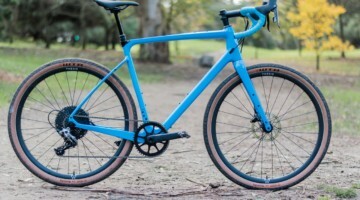 If you are looking to run higher-volume tires for gravel adventures on a Waterloo-designed bike, Trek’s new Checkpoint gravel bike or alloy Crockett cyclocross bike might be worth a look. The Boone RSL frame features a removable section along the down tube that can house batteries for electronic shifting setups. 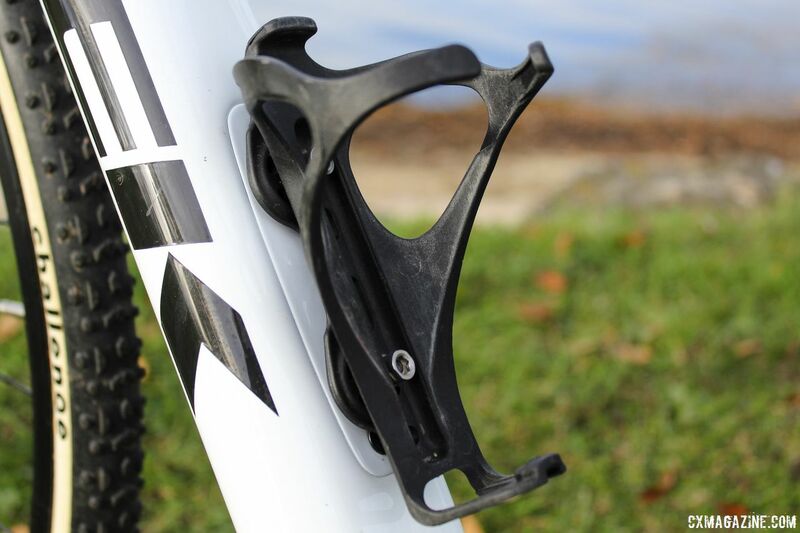 The section also features Trek’s Quick Connect water bottle mount that is likely to come in handy at the beginning of the season when you want a water bottle during race warm-ups but do not want a cage on during the race. Based on my anecdata, the most inquired-about change to the new Boone is the addition of the front IsoSpeed decoupler. The front IsoSpeed follows a long tradition of companies trying to add compliance and shock absorption to rigid frames. The spring-based Specialized Future Shock with 20mm of travel, Redshift ShockStop suspension stem and Fox AX Cross fork with 40mm of travel are examples of front-end shock absorbers. Another approach we have seen flexible carbon seat posts such as the Cane Creek Thudbuster, Ritchey WCS Carbon Link Flex Logic, Specialized CG-R and the new Schwinn Vantage RX1. 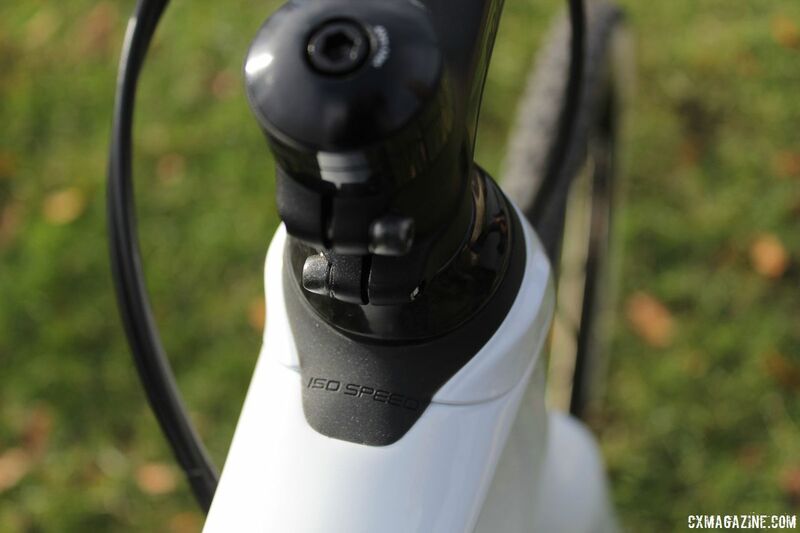 The front IsoSpeed decoupler features a rocker cup at the top of the headset that allows the steerer tube to flex. 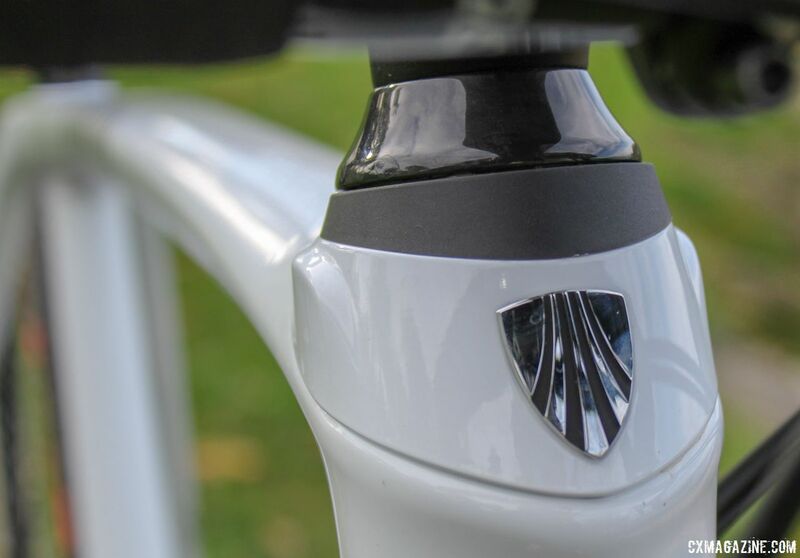 Trek claims the system reduces the impacts of bumps with no lateral movement that would affect bike handling thanks to a pin through the side. The ride impressions section of this review describes the performance of the front IsoSpeed system. The Boone retains the rear IsoSpeed decoupler that has been a part of the bike since its launch. 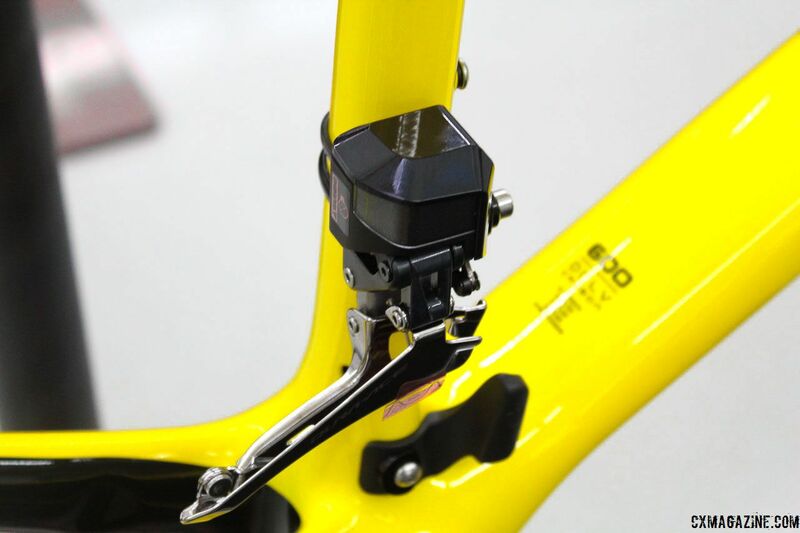 The rear decoupler separates the seat tube from the top tube and seatstay junction to provide vertical compliance. 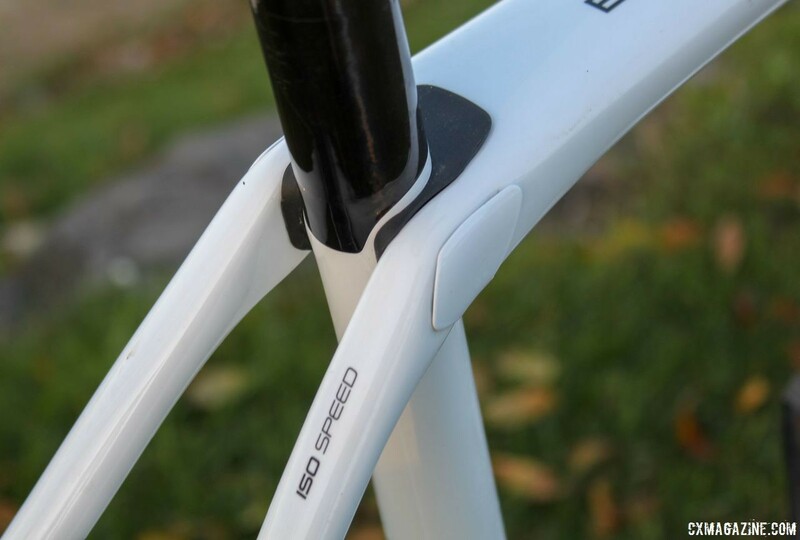 Unlike the version on Trek’s road bikes, the rear IsoSpeed on the Boone RSL frame cannot be adjusted. As we have noted in our coverage of Katie Compton’s growing collection of Nationals-winning Boones, the system favors a long extension and setback saddle position. The geometry of the 2018 Boone is similar to past models with what Cyclocross Magazine contributor Cliff Lee calls “modern ’cross geometry.” Our 58cm test frame has a head tube angle of 72.3 degrees, trail of 6.6cm and 42.5cm chainstays to give a total wheelbase of 102.8cm. The bottom bracket drop of 6.5cm is in line with many of the bikes we have reviewed in recent years. It’s high enough to please the Euros, while making remounts doable for more than just high jumpers. The stand over clearance for the 58cm frame is 81.6 cm and the stack is 59.7cm, which did not create any issues for me at 6’1.” The reach is 39.7cm. I requested the bike with a 110mm stem, but found a better fit with a 90mm model. Trek designed the Boone RSL for use with 1x cranksets. Professionals such as Compton and the Telenet Fidea Lions use clamp-on derailleurs to run double cranksets with Di2 front derailleurs. The Boone RSL frame and the two stock builds—the Boone 5 and 7—have mounts for chain catchers for use with 1x drivetrains. The higher-end Boone 7 comes with SRAM Force 1 components and the Boone 5 comes with Rival 1. Since Trek sells the Boone RSL as a frameset, I asked the company to build our RSL frame with components it uses on stock builds. 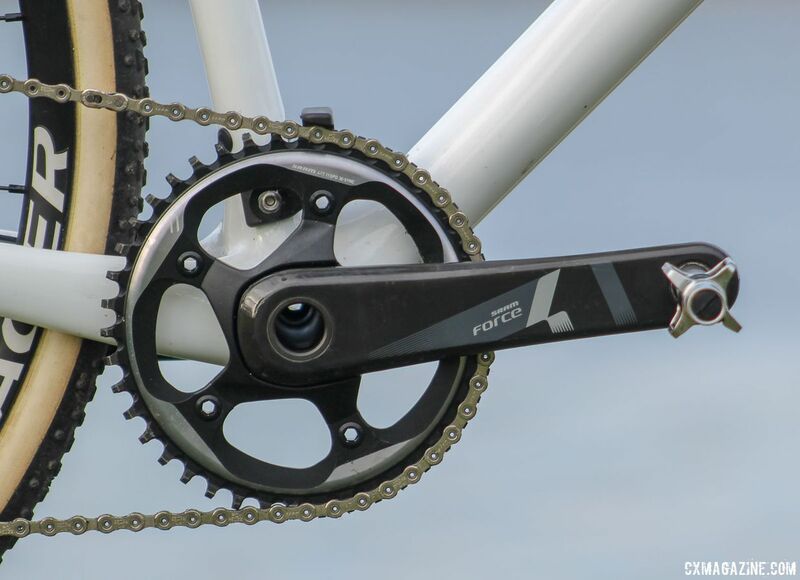 Our test bike came with a Force 1 crankset with a 42t chain ring and Force 1 rear derailleur paired with an 11-speed 11-36t cassette. SRAM HRD shift/brake levers control hydraulic disc calipers that bite onto 140mm Centerline rotors. 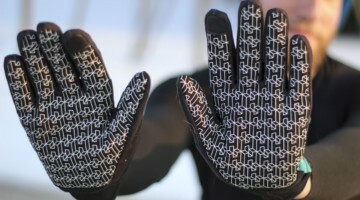 The contact points are similar to those on the Boone 7. 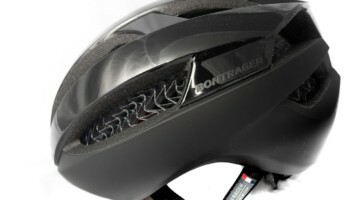 The handlebar on our test bike is the Bontrager Pro IsoCore carbon VR-CF, the seat mast cap is Bontrager carbon and the saddle is the Bontrager Montrose Elite. The wheels on our test bike are Bontrager’s Paradigm CX RSL Disc tubulars, which have a bit of an interesting back story. According to Trek Race Shop manager Scott Daubert—who is not a bad cyclocross rider himself—when Trek partnered with Telenet Fidea, the team requested 180 sets of carbon cyclocross tubular wheels, a request that even gave one of the world’s biggest bike companies sticker shock. To save money, Trek asked its engineers to design a lightweight alloy tubular the team could use during training. The result was the Paradigm CX RSL Disc tubulars us amateur penny pinchers can now benefit from. Trek built the alloy tubular wheels specifically for cyclocross performance. They have 24 spokes front and rear and have 12mm thru-axles, with adapters available to convert to 15mm thru or quick release setups. The rims have an outer width of 26mm and are equipped for CenterLock disc brakes. The rims, at 460g each, won’t threaten Saavedra Turbo alloy hoops in sewing up weight weenie titles, but have a shallow rim bed—similar to what we’ve seen on the Velocity Major Tom and Williams Cyclo-cross offerings—for better contact with the 33mm Challenge Grifo tubular tires. The claimed wheel weights are 715g front and 860g rear, for a total weight of 1,575g, which compares to 1,260g for the Aeolus 3 Disc tubulars the Telenet team primarily uses. The alloy tubular wheelset has a list price of $600 and the carbon wheelset is $2,400, so Trek saved a decent amount of money at a cost of 300g of extra wheel weight ($3 a gram, if our math is correct). As built, our test Boone RSL build has a retail price of $5,200. The total weight of the build is 17.2 pounds with wheels and 10.2 pounds without. Although I was unable to race this past year due to a back injury, I was able to get out and ride on the Boone both on cyclocross courses and singletrack trails later in the fall and into the spring. If I were asked to describe the Boone RSL test build in a few words, I would call it race-ready and fun. 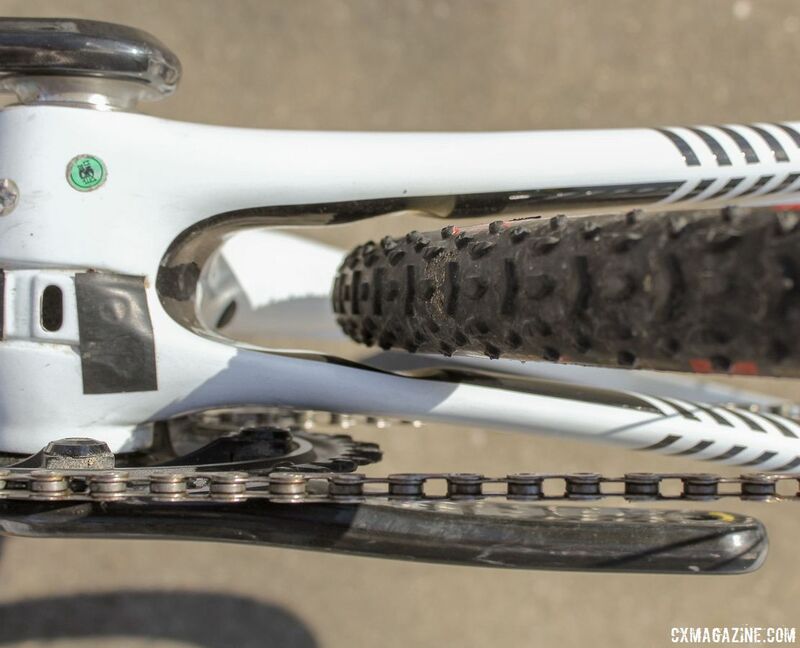 Trek designed the Boone RSL frame for race performance, and it responded accordingly. 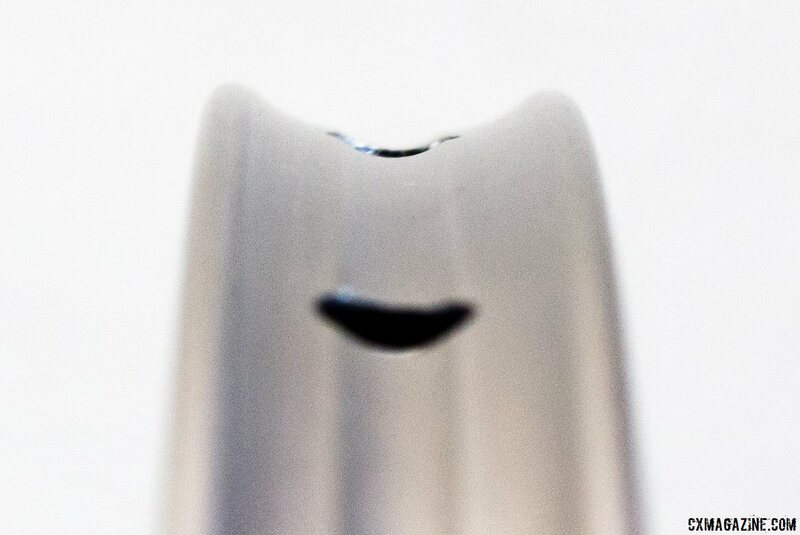 The head tube length and angle create a front end that steered where I wanted it to. The light, responsive frame encouraged me to push its limits and did not cause me further injury when trying to shoulder it. Here in Wisconsin, most of our cyclocross races are at grassy parks that vary from bumpy to washboard-like, so the local conditions are tailor-made for testing a system like the front IsoSpeed. I also made sure to take it on some singletrack, since I have touted the benefits of riding mountain bike trails on a ‘cross bike in the past. I quickly noticed the compliance provided by the front IsoSpeed decoupler. The front end of the Boone softened the park bumps and helped absorb some of my less-than-stellar moves on singletrack. Especially given my bad back, having some shock absorption on the front improved the ride quality. 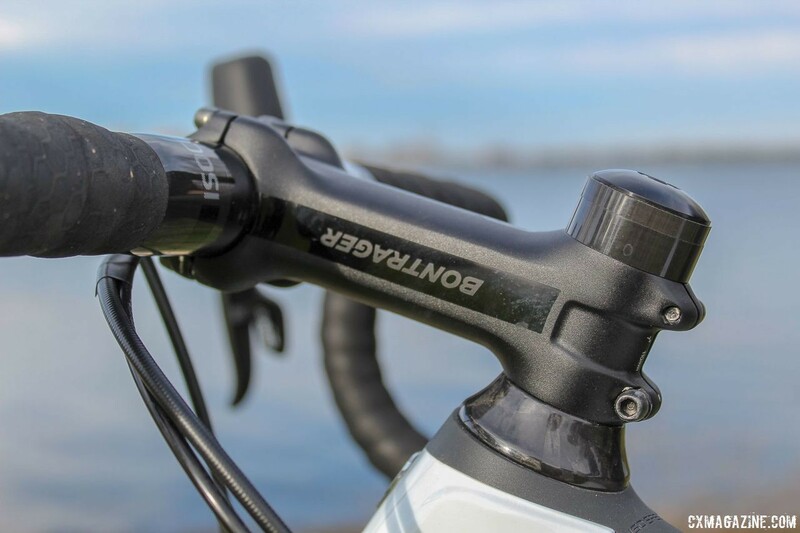 The rim-brake Boone fork was already a favorite due to its compliance, and the front IsoSpeed increases that compliance by an order of magnitude. Smoothing out a ride is one thing, but does the front IsoSpeed handicap actual racing by hindering accelerations out of corners or finishing sprints? I pushed the Boone RSL frame through several practice sprints and found the only limiter to be my lack of sprinting pop. If you are looking to a new bike to help you earn your next category upgrade, the Boone RSL frame and its IsoSpeed decouplers are likely not going to be a miracle worker. In our coverage of rider-suspension features such as the ShockStop suspension stem, we have noted that although they lessen the impact of bumps on the rider, they do not noticeably reduce the rolling resistance of the bike. The same was true of the Trek Boone with front and rear IsoSpeed decouplers. Riding over bumpy sections was smoother, but the Boone did not necessarily make me faster than I am on a fully rigid ’cross bike. The alloy tubular wheels and Challenge Grifos proved capable of riding in mixed conditions. The light rear end allowed me to get loose in turns and the Grifos provided reliable traction. When the snow came over the winter, I went out for some rides and found the Grifos hook up well in the slushy snow as well. I had to make an adjustment after receiving the test bike. Trek’s sizing chart recommends a 58cm frame for my 6’1″ height, and so I requested a 58cm Boone RSL frame with the same 110mm stem I usually ride. But everyone is built differently. The fit initially felt long for me, and I found it much more comfortable after swapping in a 90mm stem and moving the saddle pretty far forward. For cyclocrossers looking for a bike to pull double duty during gravel season, the Boone RSL is a mixed bag. 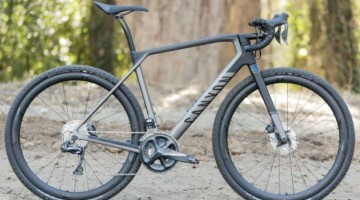 For most of us, $5,000 is approaching “dream bike” territory, so having to buy another bike for gravel might not be an option. Members of our team think the front IsoSpeed would be perfect for long gravel rides. 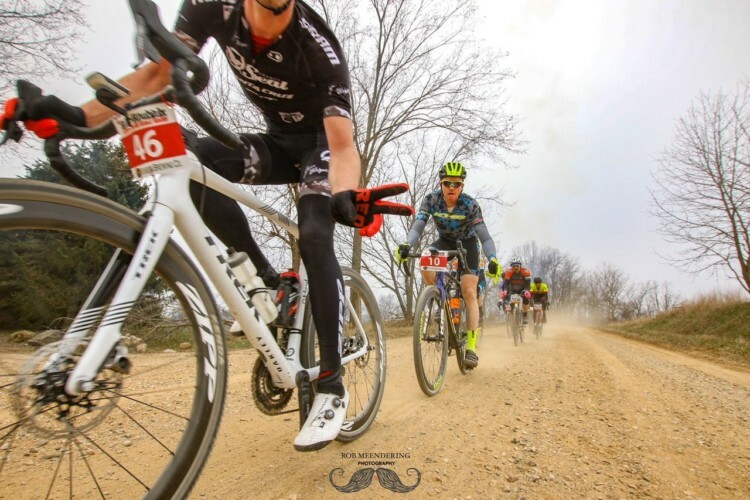 At the same time, we are also proponents of wide, high-volume tires for gravel riding, and the Boone RSL frame does not have room for the new crop of 42mm and larger gravel tires now available. That said, we saw the Boone in action at the Barry-Roubaix gravel race in Michigan, and if your local flavor of gravel riding can be tackled on 33 or 35mm tires, the Boone RSL will likely be up to the task. It’s hard to not have a good time riding the Trek Boone RSL cyclocross bike. The fun, responsive ride inspired me to get out and ride more often than I otherwise might have, and the compliance offered by the IsoSpeed decouplers left me a bit fresher afterwards. Whether it be grass, singletrack or snow, the Boone provided a great platform for pushing myself to ride aggressively and the front and rear IsoSpeed decouplers facilitated an enjoyable ride by smoothing out bumps and some of my mistakes. 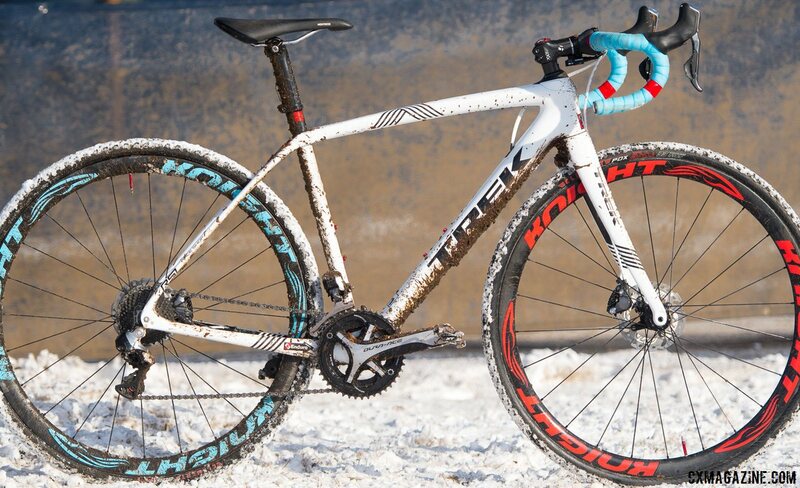 Despite a name that conjures up images of the frontier, Trek designed the Boone for cyclocross race performance. The front end is responsive, and the chain catcher mount and narrow chainstays suggest running a 1x system up front and narrow tires front and rear. Trek should be commended for pushing the envelope with the design of the Boone frame and front and rear IsoSpeed decouplers. The decouplers contribute to a comfortable ride, but do not necessarily expect them to produce gains in speed that will immediately get you a category upgrade. At the same time, as I experienced while riding the responsive Boone RSL, if riding your bike is fun, you are likely to ride it more often. If you ride more often, you are apt to improve your fitness and skills. 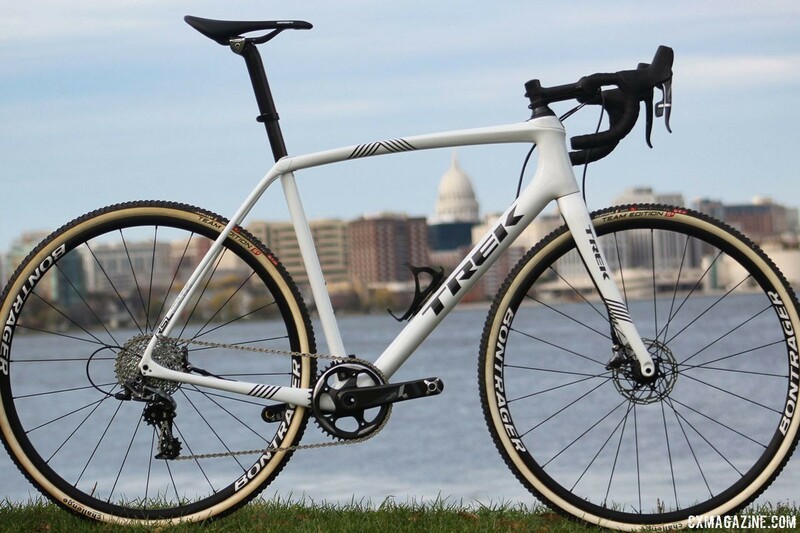 For more on the Trek Boone RSL cyclocross bike, see the photo gallery and specs below. What saddle height was used be the reviewer? I am 6’1″ and have a 56 cm 2014 Boone. It looks to me like that seat mast has been put way too high for a 6’1″ person on that 58 cm frame. I’m guessing that he raised it to max height for the benefit of the photo shoot.